Yahoo! Sports Ryan Lambert, previewing the Northeastern Regional in Worcester, believes that the #4-seed Terriers are a threat to move on to St. Paul. ►Daily Free Press: BU vs. Cornell--who has the edge? 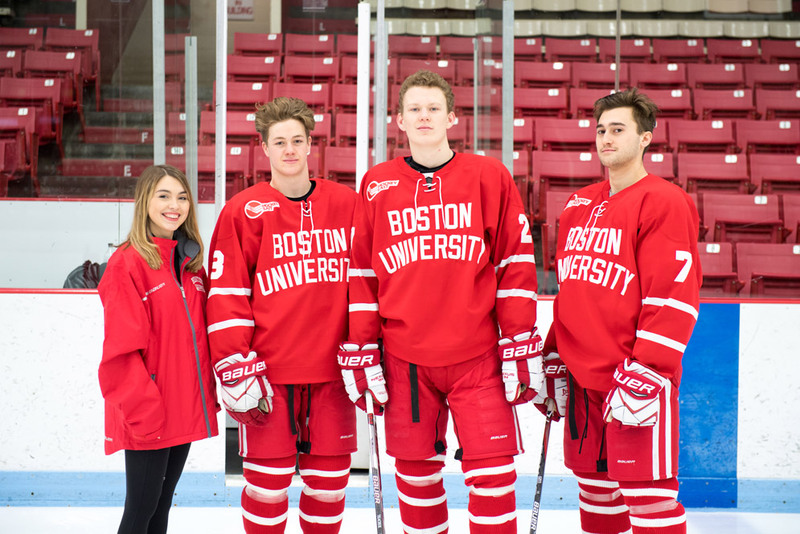 BU’s senior class is the first to reach the NCAAs all four years since the Class of ’98. BU is making its 36th NCAA Tournament appearance, which is third most behind Minnesota and Michigan, which is making its 37th appearance. Others: BC (35), North Dakota (32), Denver (28), Michigan State (27), Wisconsin (25) and Harvard (24). Former Terrier All-American Colby Cohen will be joining play-by-play announcer Kevin Brown to provide analysis at the Midwest Regional in Allentown, Pennsylvania. Cohen earned Most Oustanding Player honors in the 2009 NCAAs, scoring in overtime (video) to complete BU’s DC Miracle comeback win. 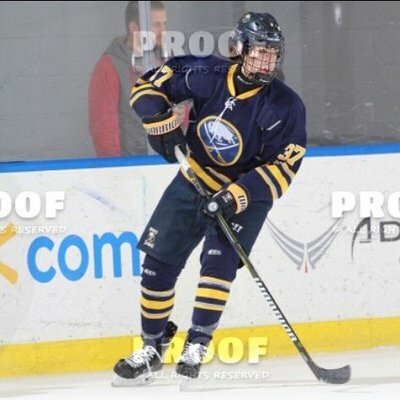 2020 recruit Luke Tuch was a key point producer in the Jr. Sabres 16U’s run to the New York State Amateur Hockey Association tournament championship. He scored a pair of goals in a 7-1 rout of the Buffalo Regals, produced the game-winning shootout goal against the PAL Jr. Islanders and had four assists in a 9-0 win against the Syracuse Stars. Tuch was recently invited to the 2018 NTDP Evaluation Camp in Plymouth, Michigan. ESPN’s Greg Wyshynski has put together an ultimate line-up, for 10 college teams including BU, of players who went on to standout NHL careers. For each of the ten, Chris Peters picked each school’s all-time greatest player, based on their collegiate career. His choice as top Terrier: Three-time All-American Chris Drury. 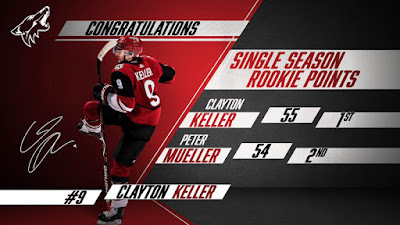 With a pair of assists in Arizona’s 4-1 win against Buffalo, Clayton Keller set a Coyotes rookie scoring record with 55 points, as well as a rookie mark for assists (35). 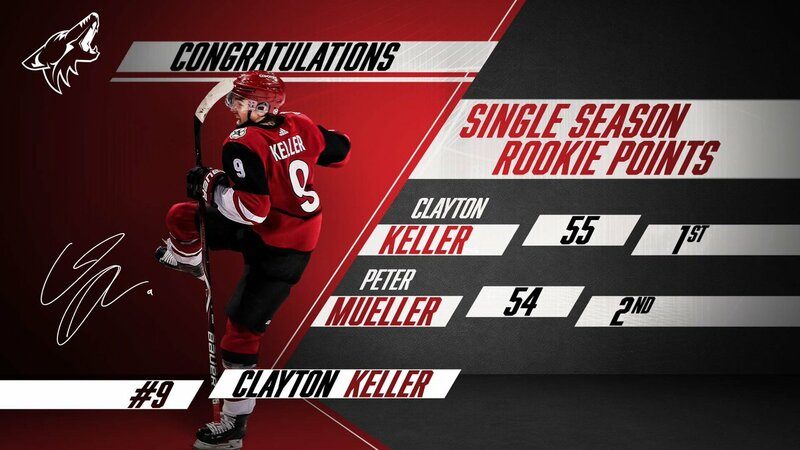 Keller also did a Q&A interview with The Sporting News about his rookie NHL season and his season as a Terrier. Evan Rodrigues assisted on the Sabres’ goal, earning his sixth point in his past six games.